"This is a replacement for boring ketchup on fries. You can alter the heat by changing the amount of horseradish, after all it is your stomach. Have fun with it!" 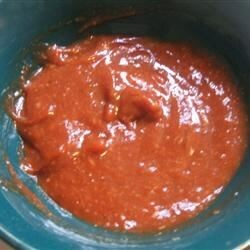 In a small bowl, mix together the ketchup, steak sauce, horseradish, salt and pepper. Serve with homemade fries or onion rings. It kills me to read a negative report when the reporter tried basically another recipe . To me if you didn't follow the recipe , keep your mouth shut . That's my 2 cents . TheReaper! All I tasted was horseradish... . I didn't measure all that great so maybe that was part of the problem, but the combination of flavors just didn't seem to go together all that great.